If you are in the market for a knife sharpener, you may want to check out Smith’s Knife Sharpener. 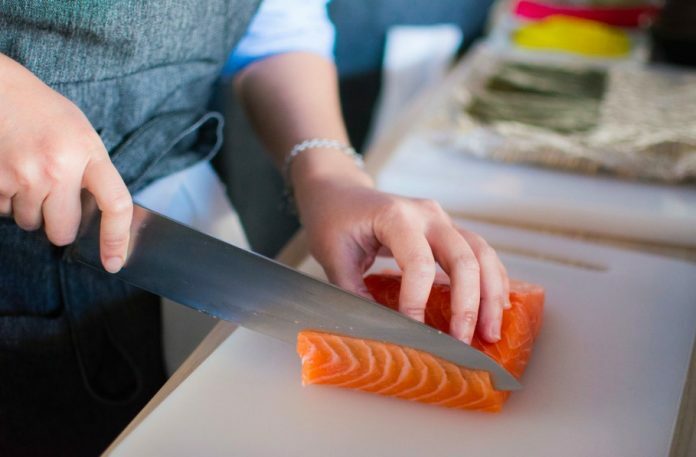 While a sharp knife is the key to success in every kitchen, finding a sharpener that fits your needs can be complicated. Not every sharpener will work for every type of knife. When you do find a sharpener that fits your needs, it can be a three or four step process! Even a simple sharpening stone can come in different styles, adding an extra layer of confusion. Luckily for you, we have done the work for you and learned everything you need to know about one of the oldest and most respected brands out there: Smith’s Knife Sharpener. Read on to become an expert on the tools of the knife sharpening trade and find the model that will work best for your needs. With so many variables when it comes to sharpening knives, it is important to know a little about what sharpeners work best with your blades. Considering what kind of blade you are sharpening as well as what style of sharpener is best will help you determine which Smith’s Knife Sharpener is right for your kitchen. Every chef has an arsenal of quality knives, but not every knife can be treated equally when it comes to sharpening. Some knives are simple. If you have a knife with a straight edge on both sides, you can use most types of sharpeners. But a knife with a straight edge on one side needs a sharpener that will only sharpen one side of the blade at a time. Knives with serrated edges need a diamond or ceramic file, or a triangular shaped ceramic. To sharpen scissors, you will need a straight-line sharpening groove. Consider the knives you need to sharpen regularly as you look for the model of Smith’s Knife Sharpener that will work best for you. You can factor the style of Smith’s Knife Sharpener in when you make your choice. Manual sharpeners come in a variety of styles that can be best for specialty tools of the trade. Fixed angle sharpeners are great for quick, effective sharpening. Flat stones require skill but are the most versatile for sharpening any tool. Rods and steels also sharpen a knife’s edge, which may factor into your decision. Electric sharpeners are best if you are looking for a quick fix to sharpen your knives quickly, even if they are very dull. With so much information available, it was essential that we evaluate multiple opinions on each of the models of Smith’s Knife Sharpener below from unbiased websites. In addition to reading dozens of Amazon reviews for each of the knives below, we made sure none of the customer reviews were compensated, as that would skew their opinion. Below are the unfiltered results of this investigation. Because of the full range of every Smith’s Knife Sharpener that is available, there is a varied range in pricing. This price range is decent for a quality knife sharpener of this caliber and is great for a product that can be used time and time again. No matter what knives you need to sharpen, there seems to be a Smith’s Knife Sharpener for every job. Read on to discover how their most popular models rate among customers. This Smith’s Knife Sharpener provides stones that can sharpen every type of knife. Included are a coarse diamond stone, a fine Arkansas stone, and a triangular stone for serrated knives. This kit also includes flexible folding angle guides that help to guide your sharpening process. Amazon reviewers gave the product 3.7 out of 5 stars and reviews were mixed. Customers who liked this Smith’s Knife Sharpener praised its foolproof design that makes sharpening easy, even for beginners. They like its ability to leave knives with razor-sharp blades consistently. Many also liked the convenient carrying case that comes with this model. Critics found that the guides, which are plastic, were cheap and broke after consistent use. Others found that even the stones broke soon after opening. The clamp meant to hold the knives securely also caused problems for those with bigger knives. This model of Smith’s Knife Sharpener may be best for sharpening your knives with smaller blades. The Diamond Precision Sharpening System is a fast, durable, and effective way to sharpen all kinds of knives. The kit contains a coarse diamond stone, fine diamond stone, and serrated edge stone bars. This model of Smith’s Knife Sharpener is a step above the Standard System reviewed above. With 4.4 out of 5 stars on Amazon, customers are generally delighted with this purchase. Fans of this model praised it as easy to use, with an angle guide that can help beginners sharpen all kinds of knives. Although it takes more work, customers found this works better than an electric sharpener. Even knives ruined by cheaper sharpeners were brought back to life with this Smith’s Knife Sharpener. Customers with complaints noted that this system takes some time to learn and may not be practical if you do not sharpen knives frequently. Others had some trouble keeping it stable during use. This combination set can sharpen all kinds of knives with its combination of diamond and Arkansas stones. This kit contains a coarse diamond stone, fine diamond stone, fine Arkansas stone, and a medium triangular ceramic stone for serrated knives. The priciest of Smith’s Knife Sharpener sets, depending on the model. It has the most variety and the highest quality sharpening stones. This product only has a few reviews on Amazon, but they are generally positive, with an overall 3.8 out of 5 stars. Customers who liked this product said that it sharpened their knives well, providing incredible results quickly. One customer even had this set recommended to them at a class on keeping objects sharp. Those with complaints cited a common problem with these Smith Knife Sharpener kits. The clamp does not hold the knife securely for some. Others were disappointed with the cheap plastic quality of the clamp. The only Smith’s Knife Sharpener that is electric, this model is unique to the list. It has pre-set sharpening angles to make it easy for the user. It also sharpens both sides of the blade at once to save time. This sharpener is affordable, however, it received mixed reviews on Amazon, with an average customer review of only 3.2 out of 5 stars. Some customers like the no-hassle sharpening so that the average cook can sharpen knives easily. Others found the instructions easy to follow. Most agree that it is a good value for the price, which is considerably less than other electric knife sharpening models. Critics found that this product does not withstand the test of time. While it may work well at first, it quickly wears out. One customer even noticed the sharpening stone whittling away as she used the product. Many saw that one of the sharpening wheels is unbalanced which causes the blade to sharpen unevenly or not at all. Customers recommend for home use, but beyond that, it is not a quality product. There are dozens of knife sharpening models on the market, so we narrowed the alternatives down to just a few that have a similar price and perform well. This sharpening unit that has two silicon carbide stones of different grits, and an aluminum oxide stone for knife edges. They are in a rotating axis so that you can use all three stones in your knife sharpening process. Amazon customers give it an average of 4.2 out of 5 stars. This model pleased customers who liked the quality stones in its container that grips nicely to the table. They are easy to use and reasonably affordable for the quality. Many reviewers are chefs who praised these stones for being highly superior to the metal sharpeners available on the market. Some noted that there is a learning curve, but once you get it, you can be very successful. Critics noted that the guide included in the system does not work well, which can make it hard to learn how to use it. Others noticed that the stones themselves are great, but that they can shift back and forth in the device. That makes it difficult to maintain the consistent angle you need to sharpen well. This combo knife sharpener is designed to be fast and easy, with hardly any learning curve. It sharpens knives in a two-step process, using an abrasive belt and a ceramic rod for manual sharpening. This sharpener has an Amazon review average of 4.2 out of 5 stars. 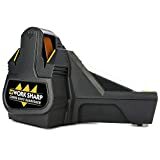 Many of the customers agreed that this product is ideal for the beginner in the world of knife sharpening as it is easy to use on all kinds of knives. They were happy with its compact size and found it was suitable for work knives. Some fans even felt this did the work of a professional sharpener, but for a much more reasonable price. Critics of this product believe that this sharpener is not good for quality knives. Even customers happy with this product noted that it is not best for very dull or never-sharpened knives. They caution that this sharpener will only get knives but so sharp and is not best for quality chef’s knives. Some complain that the sharpener was not versatile enough for their needs, as it only comes with a 220-grit sanding belt. Others found a way around this issue by ordering additional belts. The Presto electric knife sharpener is an easy and automatic way to sharpen non-serrated kitchen and sport knives. It uses rotating Sapphirite grinding wheels of professional quality. 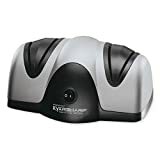 This sharpener is affordable with more than three thousand reviews and an Amazon rating of 4.3 out of 5 stars, this is a popular option. Customers who liked this product found it easy to use and quick with great results. People loved how much easier it was to achieve sharpened knives without the mess and challenge of a whetstone or other manual sharpener. Many reviewers marveled that their knives were sharper after using the Presto sharpener than the day they bought them. Customers who were not happy with this product found it dulled their knives and made them hard to sharpen. Some agreed that this sharpener is good for the price but not ideal for professionals and their quality knives. Others had trouble with the sensitivity of the machine, finding you needed to be careful about how much pressure you apply. Even professional-grade knives can become dull with use, and a quality knife sharpener is a life-saver. If you are in the market for a Smith’s Knife Sharpener, then it is essential to evaluate both your needs and your desires. Some chefs prefer using quality stones to sharpen their knives manually. Others prefer the convenience of the electric sharpener. Rated highly on Amazon, Smith’s Knife Sharpener collections please customers with their results. The company does an excellent job of providing you with plenty of tips and tricks to get the best results when sharpening. Smith’s Knife Sharpening tools are well-liked and have been well-used for more than 130 years. They have stood the test of time and continue to make a quality product that evolves with the user’s needs. 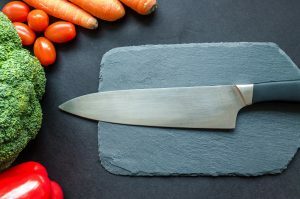 Previous articleWhat’s The Best Knife Set of 2019? Find it Here.